David has been teaching with Music & Arts since 2014, and is a dynamic woodwind instructor. His specialties include working with students of all skill levels playing saxophone, flute, and clarinet. 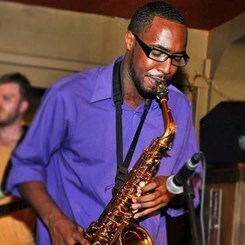 A Graduate of Florida A&M University, David is continuing his studies at Howard University for Jazz Studies, and is a dynamic performer in the DC/Baltimore area. Whether you're looking to learn Jazz, Classical, Pop, or more, David is your go-to guy for Saxophone, Flute, and Clarinet! Contact your local Music & Arts today to get set up with David!